FRIDAY, MARCH 18TH: MINIBEAST LIVE IN NYC! Minibeast will be playing LIVE THIS FRIDAY at the Cake Shop in NYC. 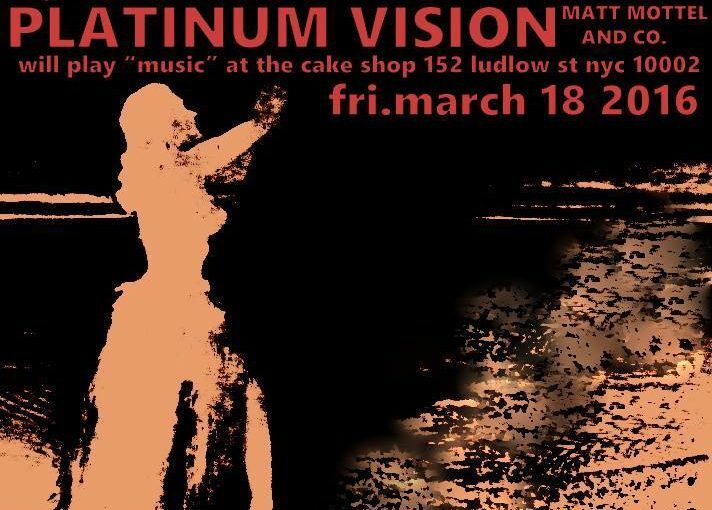 We will be joined by Dyr Faser (Erc Boomhower and Thalia Zedek) and Platinum Vision (Matt Mottel and the boyz). You can see the Facebook event page here.